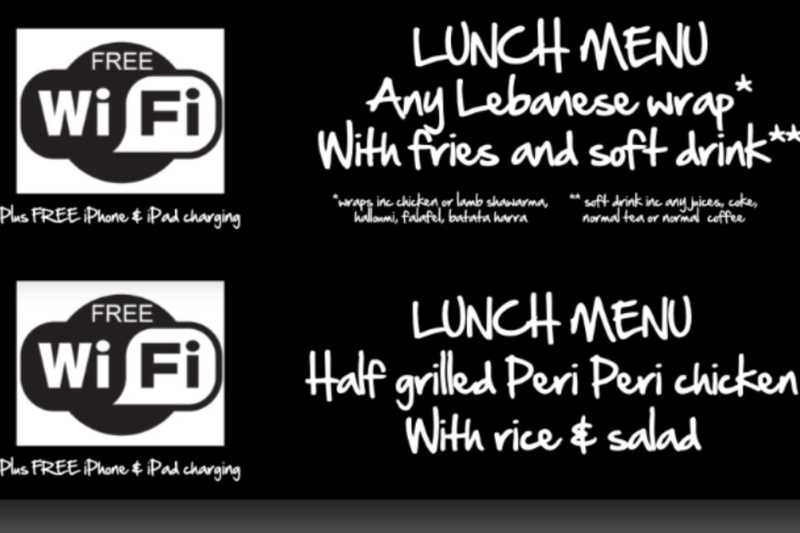 Quick and convenient lunch menu, accompanied by great smoothies, milkshakes or fine Lebanese wines, its the most fashionable way to spend your afternoon. Please check lunch opening times. 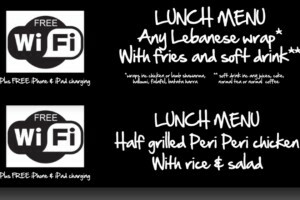 Phone and place your order in advance also available. This night was a night to remember!!! 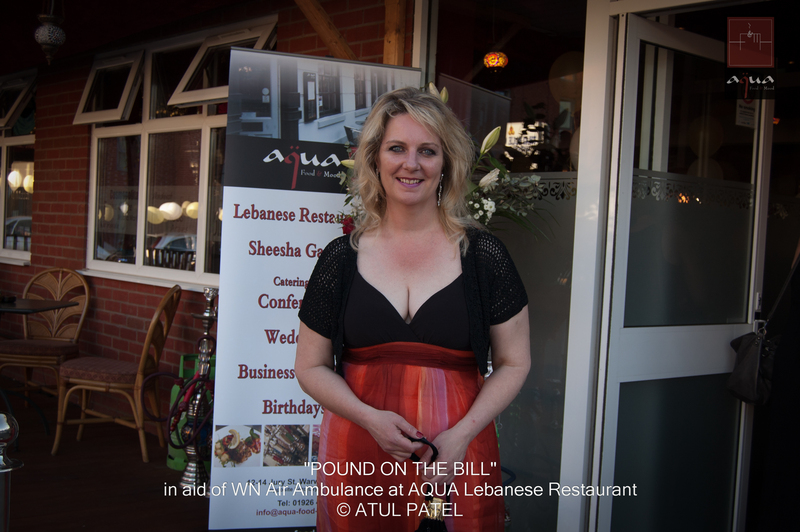 There were 3 celebrations on this night, the first was the relaunch of Aqua food & mood at its new relocated restaurant at The Butts- Coventry. 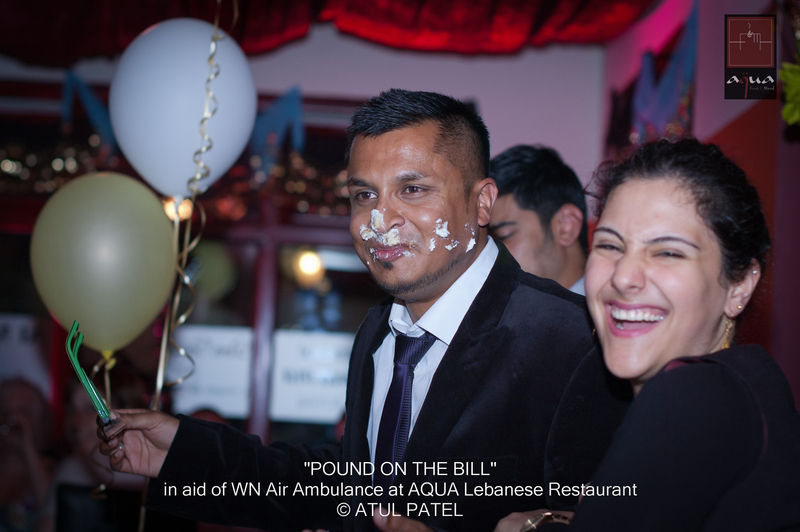 The second was the launch of ‘ the pound on the bill’ in aid of Air Ambulance Warwickshire Northampton, and thirdly it was the birthday celebration of Aquas owner Abz. 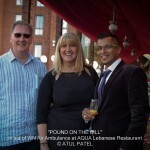 The night began with a red carpet entrance & papparazzi shots with guests arriving from Coventry & Warwick to a Champagne reception. 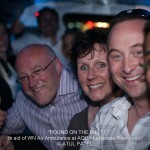 All guests were EIPs (extremely important people), however, some VIPs (WarwickTweetUp) were chauffeured in a Hummer Limosuine from Warwick as a special treat. 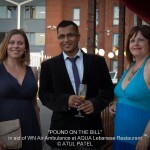 Jo Payne ( Fundraiser for WNAA) & Abz were at the door greeting guests & ticking off the guest list (also collecting the ticket donations). 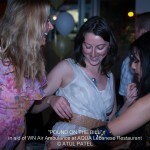 As the guests arrived to an ambient showpiece, it slowly started to echo laughter and excitement as the networking started. 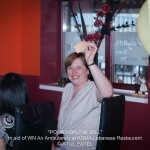 As the guests eventually picked their seats, the evening started with a welcome speech, introduction to Abz, Jo Payne followed by the Air Ambulance crew. 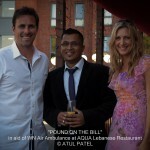 Aqua was proud to announce they would add a discretionary pound on to each bill which then would be donated to WNAA as an ongoing support as the Heli needs constant finance to keep it in the air. 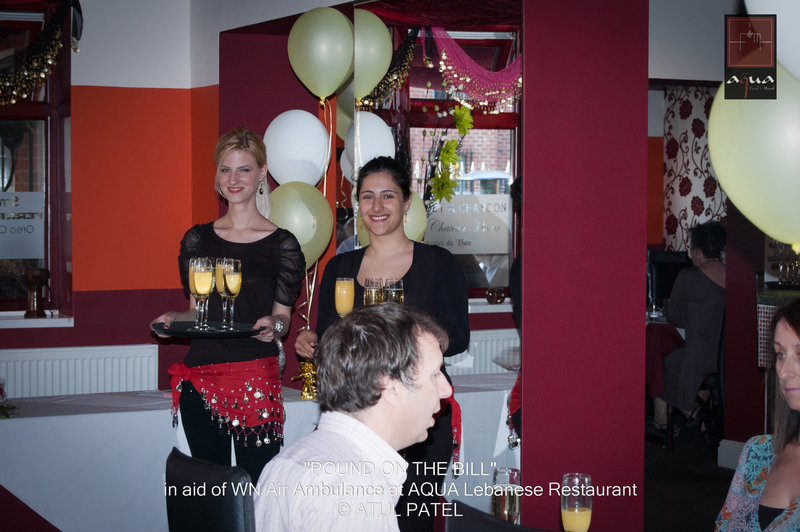 WNAA is not a government financed organisation and relies on donations. 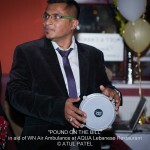 A pound wouldnt really harm anybodies pocket but over the weeks and months will add up to substantial donations to the chosen charity. 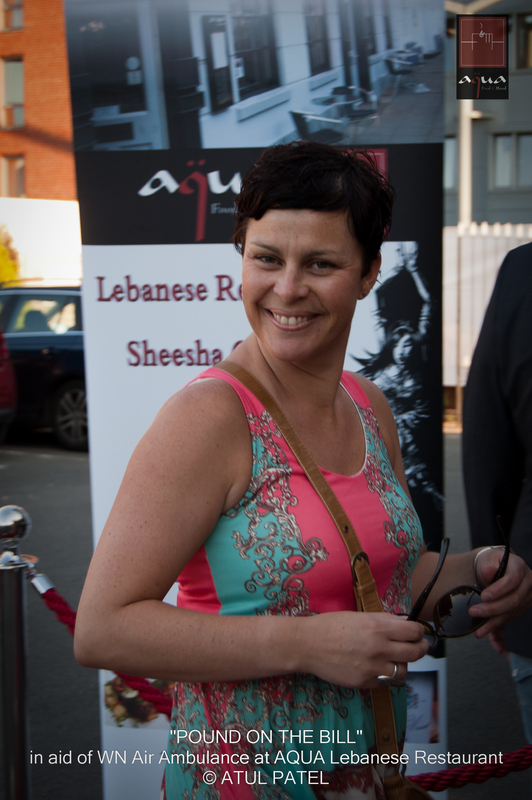 Time for some Grub….Mezze starters had arrived with a variety of Lebanese delicacies ranging from hummus, falafels to luxurious pastries. They disappeared in no time. 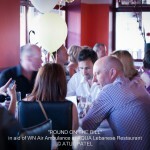 As the plates were getting cleared raffle tickets were being sold for some fantastic prizes kindly donated by so many. 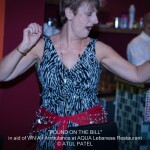 By now the atmosphere was very lively, drinks on the table, food in everybody’s bellies…it was time for the Belly Dancing entertainment… and what a performance by Azin – SPECTACULAR!! 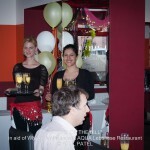 The performance lasted for about 20 minutes as she moved around the restaurant, the amazed look on the guests faces was very satisfying! Main was course was served at the buffet. 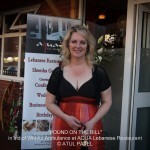 On the menu was Mousakka, Chicken shawarma, Kafta batata, rice, salad & bread. 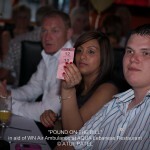 The raffle prizes were drawn as everybody had their tickets held tight in front of them. 1st prize was Pro Falconer 1/2 day experience for 2. 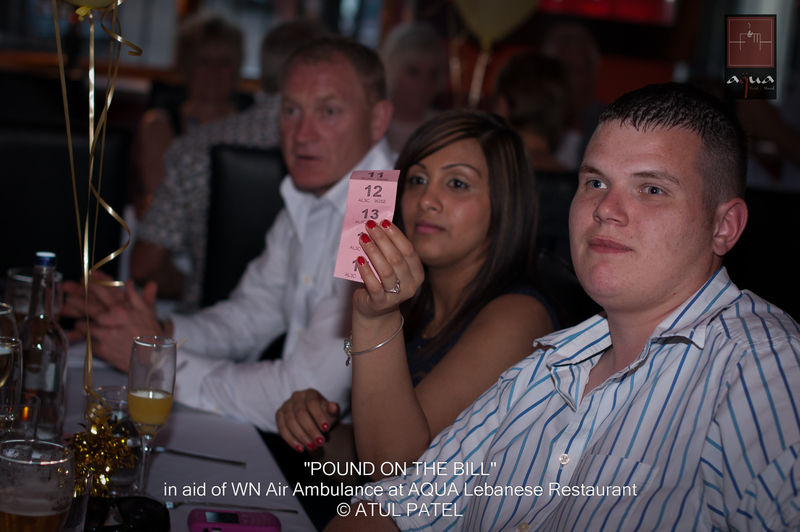 2nd prize was a meal for 2 at Aqua won by Metal Man Roger Merritt. 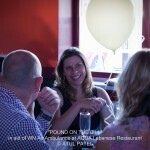 £50 voucher for Cafe Catalan Tapas Bar was won by Simon Francis from Warwick- how convenient. Thank you Malcolm. 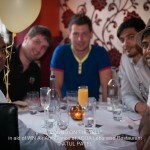 Haroon Marathon man won a meal for 2 at Asiana Restaurant, Coventry- thanks to TAZ. 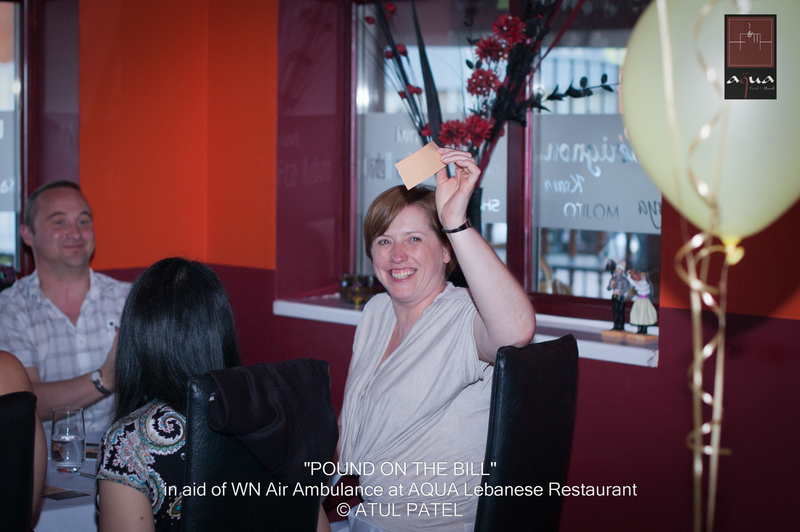 Karen from WNAA won a meal for 2 at Blue Orchid Thai restaurant thanks to Mosin/ Rassel. 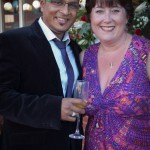 Alans wife won a beautiful bouquet of flowers by BEN N ZAKS FLORISTS in Coventry Market- thank you Tracie. 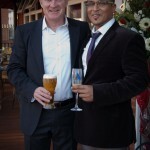 Alex from CVS sounds won a fruit basket from COV Market-thank you Paul from BestOf Cov. 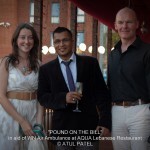 Salma from BEN N ZAKS won a meal for 2 at Indian Edge Kenilworth thanks to ALI. 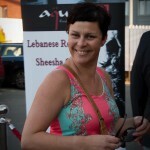 Rebecca Taylor won 1000 Business cards printed courtesy of Customs Prints Design thanks to Shahin. 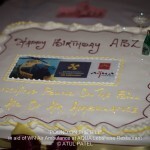 Finally it was time to cut the Birthday cake after getting hands on the golden knife…delicious it was thanks to Marias Bakery. 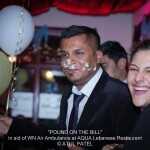 Some of the staff decided to feed ABZs face with the cake…Hmmmmmm!! 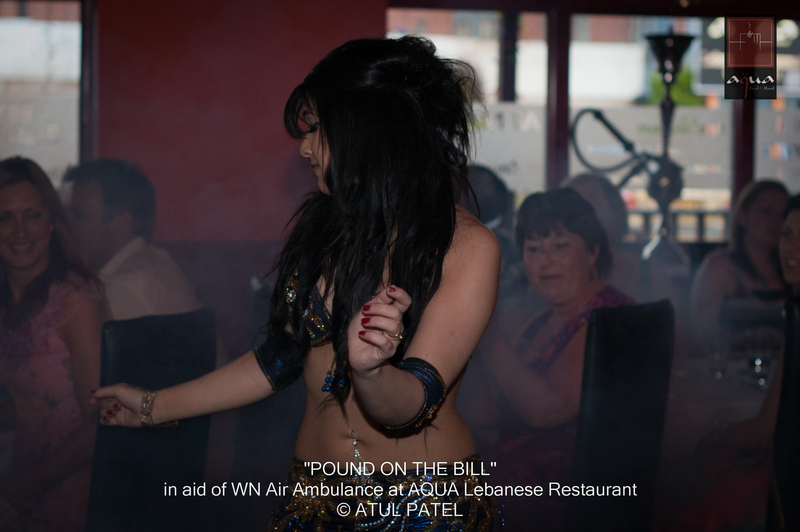 The food was complete and the mood changed to disco lights, 2 belly dancers, smoke machine and everybody was on the dance floor grooving to the Eastern beats. 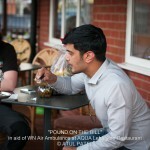 Tweets were flying out and some were having a smoke on the sheesha & even started dancing outside. The night was young as everybody was unwinding. For some the carriage had arrived and they were forced into the Limo and chauffeured to bed. 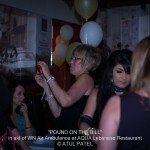 The night was a great success with £690 raised for the Air Ambulance and many memories. Special Thanks to Jo Payne & the team, Warwick tweetup gang, (Rob Cameron, Jack & Katie, Becky & Simon, Dan Martin, Jan Denning crew), Alan & guests. 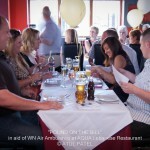 A BIG THANK YOU to TAZ who helped organise the event with us & to Tracie at BEN n ZAKs, Paul from BestOfCov & all the Aqua staff who were great support throughout. 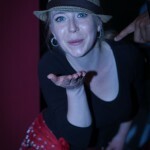 Now we must think of another reason to hold a party! !